Next time you're at the supermarket, check the dairy section. Chances are there'll be a store employee laboriously restocking, reshuffling and rearranging the already-vast yogurt selection. Yogurt is red-hot these days, especially the Greek variety. Over the years, yogurt has grown in popularity but it has lost a lot of the – for lack of a better term – zing that accompanied its initial entry into the American consciousness. A lot of yogurt has gotten to look and taste more like ice cream, and low-fat ice cream at that. But Greek yogurt has the slightly tangy taste and a somehow beefier complexion than the more pallid varieties. What's different about Greek yogurt? Unlike other yogurts, it's strained through a cloth or filter to remove liquid whey. That makes it creamier and bumps up the protein content. It's like the difference between, say, a Guinness stout and a Bud Lite. So far, Greek yogurt has taken off largely on its own, but that's about to change. The marketing industry's big guns are taking aim at the millions of consumers who haven't yet tried it or haven't yet settled on a particular brand while established brands fight to hold their position. Translation: lots of yogurt ads coming soon. Fage, (pronounced “fa-yeh”) largely credited with starting the Greek yogurt marathon back in 1998, is preparing to launch its first national TV campaign, using poetry to position yogurt as an “extraordinary sensory experience.” Chobani, the other early entrant, has also started advertising heavily. 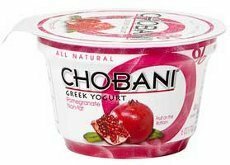 The two companies, which so far dominate Greek turf, have seized about 12 percent of all yogurt sales and the race has hardly begun. Meanwhile, household names Dannon, Kraft and General Mills are stepping up their marketing efforts and planning new advertising pitches. Dannon is said to be preparing to introduce a Greek yogurt to complement its other blends. General Mills – whose Yoplait is the leading seller among regular yogurts – is reformulating its Greek yogurt with a thicker texture and brighter colored packages and, according to Advertising Age, has hired TV personality Maria Menounos as a spokeswoman.